A rousing call to arms, packed with surprising insights, that explores how carrying "the mental load"—the thankless day-to-day anticipating of needs and solving of problems large and small—is adversely affecting women’s lives and feeding gender inequality, and shows the way forward for better balancing our lives. 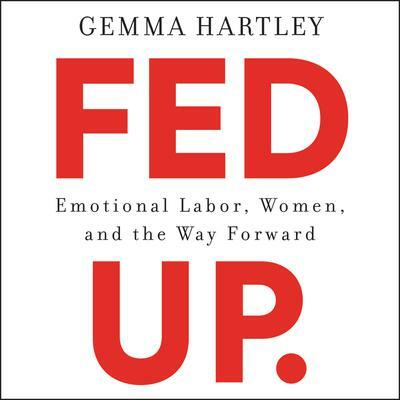 Launching a heated national conversation with her viral article "Women Aren’t Nags; We’re Just Fed Up"—viewed over two billion times—journalist Gemma Hartley gave voice to the frustration and anger of countless women putting in the hidden, underappreciated, and absolutely draining mental work that consists of keeping everyone in their lives comfortable and happy. Bringing long overdue awareness to the daunting reality of emotional labor in our lives, Hartley defines the largely invisible but demanding, time-consuming, and exhausting "worry work" that falls disproportionately and unfairly on all women—no matter their economic class or level of education.